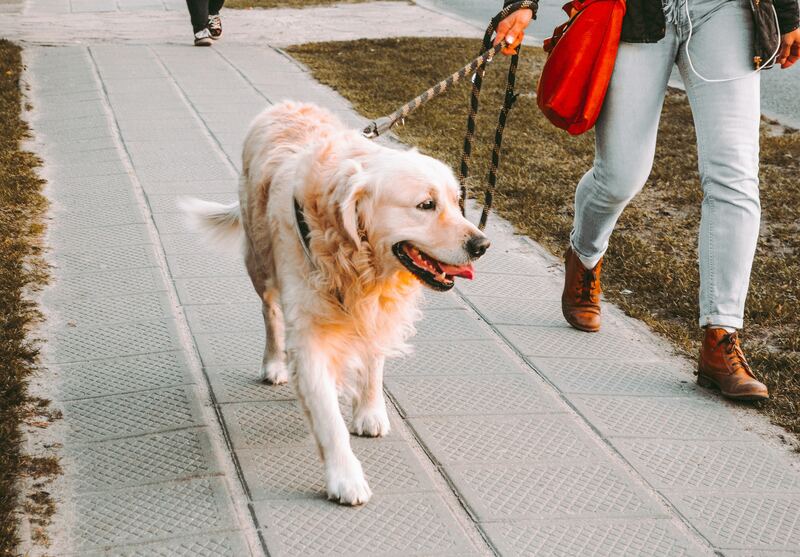 Who doesn’t love taking their dog for a walk in the park or to shop for new toys and treats at their favorite pet store? I think most of us do, which is why the topic of leashing our pups is so important. Here are a few reasons why you must leash your dog when you take them out and about. F) An animal shall be leashed when it is off the owner’s property. One end of the leash shall be attached to the collar or harness and the other end attached to the person accompanying the animal. This provision shall not apply to an animal that is otherwise physically restrained at any facility. You can read the whole law here. That headline pretty much says it all, but I’ll elaborate a little. First off, I know that your dog may be friendly and may never even harm a fly. But the truth is that we never know what our dogs might do when put into the wrong situation. Besides that, the dog that your off-leash dog approaches may not do well with other dogs and could feel threatened, prompting an attack. Second, some people at the park might not like dogs. As sweet as your pup is, they may not want to interact with her. It’s simply respectful to not allow our dogs to force themselves on other people. What about a walk in the neighborhood? We all know how cars speed and swerve through neighborhoods. One wrong step and your dog could be hit by a car. Sorry, but there is no way to sugarcoat that. It’s just not worth taking a chance. I know that retractable leashes are very popular, but I’m not a fan. For one thing, they extend too far. Leashes in public should be no longer than 6 feet. But retractable leashes can extend to well beyond 10 feet. The same dangers of dogs going off too far and approaching other dogs and people unleashed are still present. When shopping, for example, this creates a tripping hazard for fellow customers and makes it much easier for the dog to get tangled up in displays and knock them over. This is why we always ask customers to keep retractable leashes locked and reeled in at a short distance. The safety hazards from using retractable leashes are also too many for comfort. There are many stories of the cord snapping, freeing the dog and snapping back to hurt the owner. The handles are also too easy to drop. I won’t go further on this because it really warrants its own article . In the meantime you can read Dr. Karen Becker’s thoughts on these types of leashes – Why I Don’t Recommend Retractable Leashes. All these reasons and more are why we require pet parents to leash their dogs in our store. Please, if you don’t leash your dog in public already, I would ask you to reconsider. It will protect your sweet pup and make the community more enjoyable and pleasant for all our neighbors.